Man Utd are expected to be active in the summer transfer window, and it’s now reported that Jose Mourinho has a specific plan in mind. The Red Devils remain in the hunt for silverware with the FA Cup and Champions League this season, but they haven’t been able to keep up with the pace set by rivals Man City in the Premier League title race. 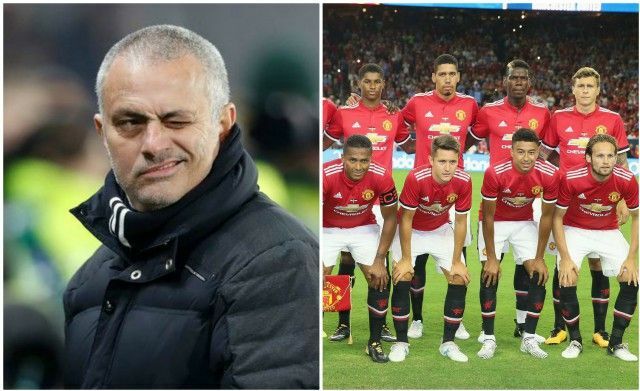 In turn, in order to bridge that gap, further reinforcements could arrive this summer and it’s claimed that Mourinho will build around one key pillar in his current squad. According to The Independent, the Portuguese tactician sees Nemanja Matic as the man who sets the standard when it comes to delivering on his instructions, and he has proven to be a pivotal piece in his puzzle this season after joining from Chelsea last summer and will seemingly continue to be so with new faces coming in around him. The 29-year-old has been an ever-present this campaign, making 38 appearances in all competitions and while he’s generally excelled at offering steel, solidity and defensive coverage in midfield, he scored his first goal of the season with a dramatic last-gasp winner at Crystal Palace earlier this week. The report focuses in on Ed Woodward’s ‘complete’ faith in the Man Utd boss and his man-management of his stars. Matic is specifically mentioned for his attitude and as being an example to follow as he fits Mourinho’s mould perfectly, and so it would appear as though he will be a long-standing pillar of the team with others around him expected to step up and produce the same standard. Given their previous stint together at Chelsea as well, it appears as though Mourinho has full faith in Matic, who continues to play a key role for him in midfield.